Hi guys, Well I don’t think too many people would be able to moan and groan about the amount of trout coming out of the Taupo rivers at the moment but you may get a little annoyed when your fishing with 5 or 6 others at first light. The tongariro has been famous for decades now as one of the most productive winter fisheries so the amount of people getting about is not surprising to me at all. 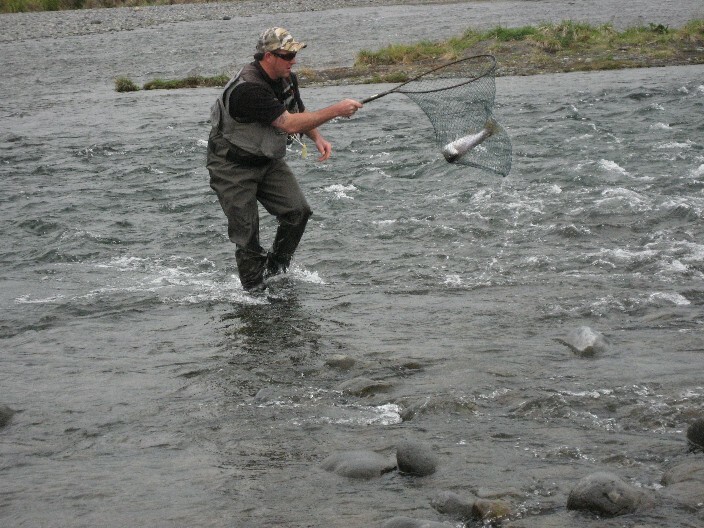 The lower river is getting a royal flogging at the moment with most pools occupied at first light or just after but angling manners asÂ a whole have been very good and I have not come across any anglers which are not willing to get along with everybody. Obviously getting to the river mid week will give you an increased chance to have more pools or even stretches of the river to yourself but I realize not everyone is in that possession to be able to drop everything and go fishing. 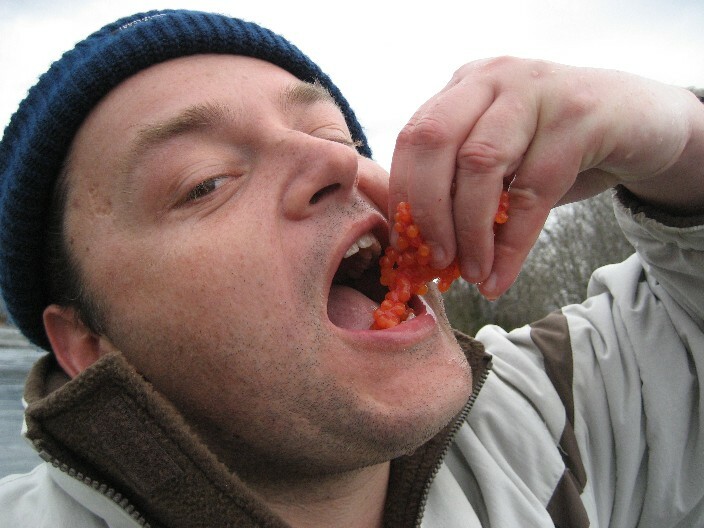 The entire river now has plenty of fish in it and fishing mid to upper reaches has given anglers some good sport over the weekend and it gives you the chance to escape the crowds which follow each other down river until every fish is scared up to the bridge pool. Most fish onceÂ again would be in the 2-4lb range but all are in very condition and will pull, jump and strip line just like they should, great sport. Currently I am pretty much putting a glo bug fished under a heavy bomb on until things go quiet then I am starting to fish small white caddis. If glo bugs are working all day then why change it, after all this is the time we should be using them. 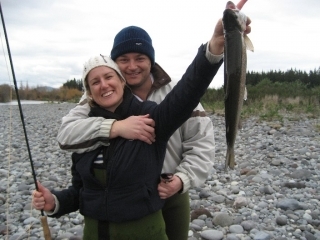 Most rivers in New Zealand will have spawning fish in them at the moment and fish would be well used to seeing loose eggs trundling down the river so they are an obvious choice to start with. I spoke to an angler who was fishing the open part of the Mohaka river before the heavy rain came and flooded the river and he was doing very well using glo bugs Tongariro style. I always forget to even think about using a glo bug when fishing back-country but it sure does work and produce good fish just the same. 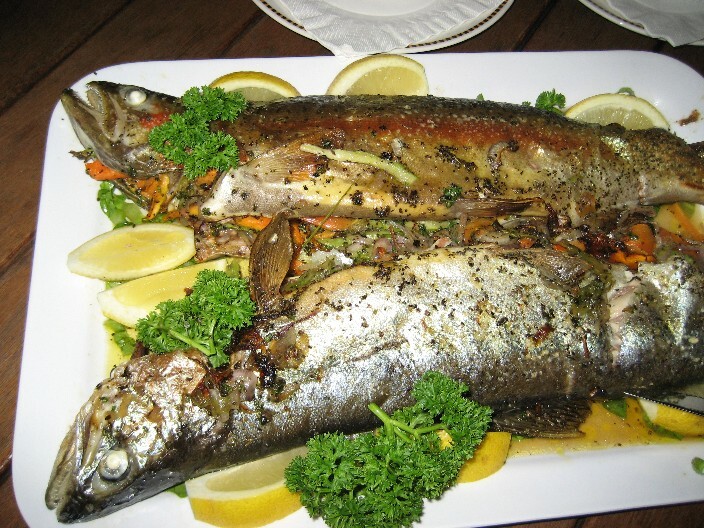 Really looking forward to some back country fishing this coming season as I sorted out some great water which should fire early season this year. 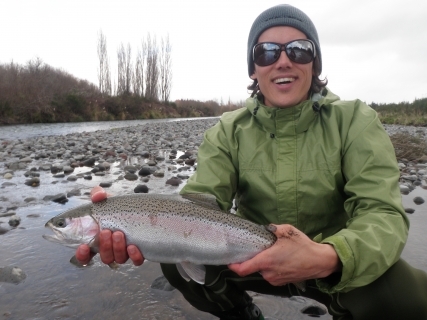 The Tauranga Taupo had some good runs go through and anglers finally enjoyed good numbers of smallish fish once again. Still they seemed to be holding in groups as they moved through which made things tricky to know where exactly they would be the next day. 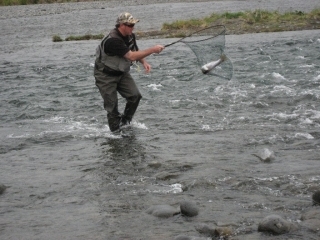 The Waytahanuie has had some good numbers of fish push over the lip and enter the river which has been good for the local boys. Shane reports the river is full of big fish and quite a few fish at the 15lb mark which apparently would make me fall over, well he’s right if Â I saw a fish in that river it would make me fall over. In allÂ seriousness the river has improved in the last week with perfect weather conditions for entering fish so it should be a productive place to be in the next few days. Quite a few fish have been caught in the rip through out the day on heave and leaves and they also have been nice fat little fish. I dont care what people say or moan about now but our fishery has improvedÂ a lot since last year and although fish are not huge they are on the right track to becoming perfect again. It is pouring with rain as I write this report so the gear will be getting packed so I can venture out in the morning somewhere for a few hours as the river is just starting to move and if this keeps up it will be perfect. The only problem is that Mike Hughes also knows this and I know his gear is already packed so it may be a 4am start to get to where I want to go to beat him. Will report regularly this week guys so stay in touch and let me know if I can help anyone with anything.